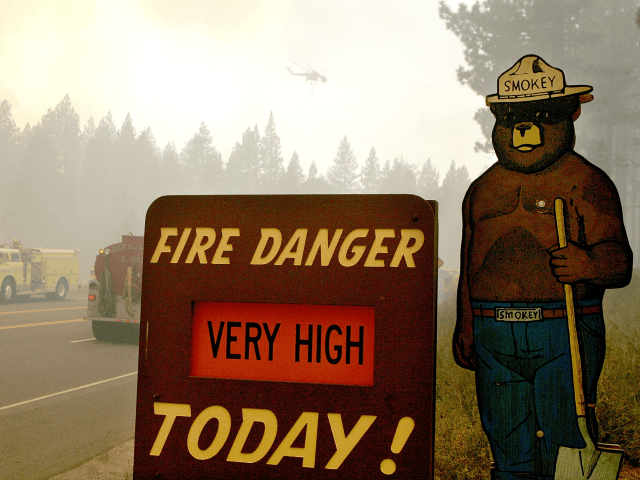 The far-left BuzzFeed News was forced to issue a correction after smearing Smokey the Bear for engaging in fire suppression. There are, obviously, two things wrong with this tweet. The second is that Smokey THE Bear does not advocate for fire “suppression,” he advocates for fire “prevention,” and those things are as different as hotdogs and donuts. Before I go any further, allow me to make a larger point. If BuzzFeed News gets the simple things wrong, the common sense things, the basics, the stuff everyone knows — imagine how wrong these (as someone writes below) these credentialed but ignorant “journalists” are when it comes more complicated things, like economics, Global Warming, and health care. Smokey THE Bear, one of the most iconic of American icons (that is, if you’re not a smarter-than-thou hipster raised on pretension, soy milk, and coffee table books) has nothing to do with the stupid policy of putting out natural forest fires; Smokey THE Bear is only about preventing man-made forest fires caused by the careless cigarette or unattended campfire. An hour later, BuzzFeed News was forced to retract its smear of Smokey THE Bear, but continued to insist the name “Smokey Bear” is correct — which only proves a childhood filled with clove cigarettes and bad jazz makes you stupid. Top tip, hire editors that are older than 21. Starting to look more and more like a parody account. Also: Teach kids to read beyond contemporary fiction. Also, McGruff the Crime Dog doesn't advocate for committing crimes… he encourages crime prevention in case you were confused. Even if you're too young to know who Smokey the Bear is (bless y'all's precious hearts), there's this nice search engine called "Google" . . . Guessing you have NEVER been to Conjunction Junction…..